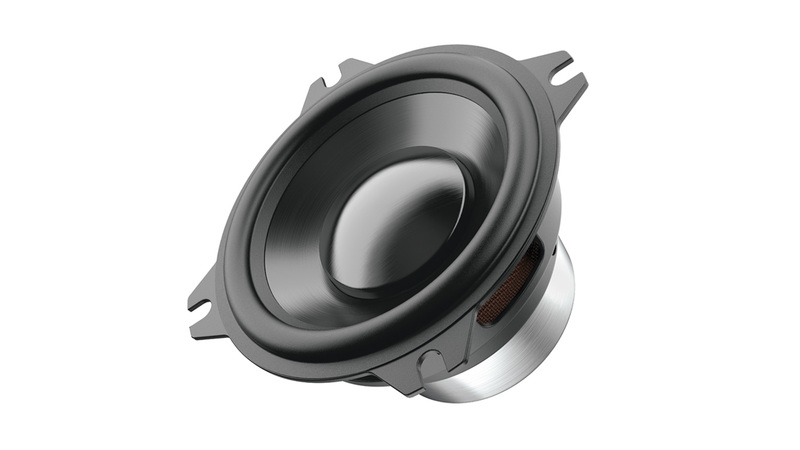 Prima AP 2 wide range reproduces the entire range of mid and high frequencies and is perfect for cars of the GM, Ford and Toyota group with 50 mm (2 in.) OEM placements in the dashboard or A-pillar, where it is combined with an elliptical woofer in the car door. The advantage of emitting the entire spectrum of frequencies by itself, responsible for creating the virtual stage with absolute phase coherence, ensures a wide acoustic scene concentrated in the upper side of the dashboard. The very low distortion and the lack of crossover point in the mid-high range also provides a natural and pleasant listening experience. Through careful research and simulation, the R&D team was able to maximize electroacoustic performance for a typical OEM application. The resonance frequency of 145 Hz, a very low value for a 50 mm (2 in.) loudspeaker, was obtained thanks to the use of a 25 mm (1 in.) 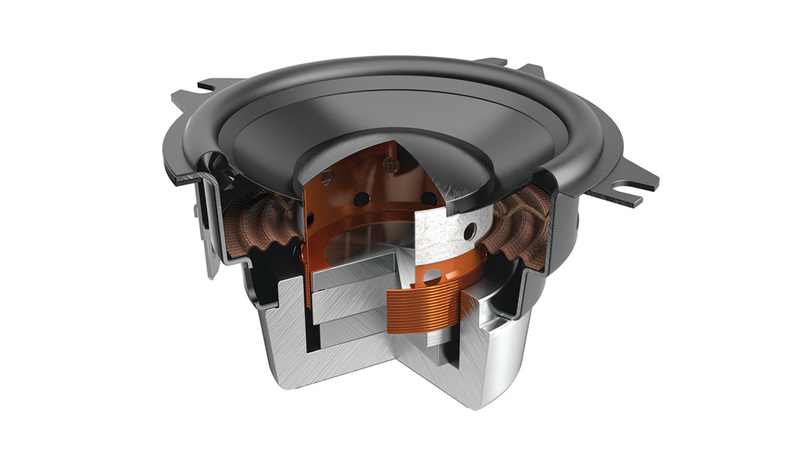 voice coil, ensuring a controlled extension at low frequencies for an optimal crossover point with the woofer. The aluminium cone, in combination with the copper shorting ring that flattens the impedance, allows for the response to be extended up to 20 kHz. The special magnetic group made with double symmetrical Neodymium magnet also contributes to achieve this exceptional extension at high frequencies while maintaining very compact dimensions. This electroacoustic configuration has led to obtain a particularly wide frequency response, which extends from 150 Hz up to 20 kHz, giving the AP 2 the well-deserved name of wide range.